In a new multimedia campaign, Robert Redford is challenging President Obama to act now on climate change by reining in carbon pollution from the nation’s biggest source, coal-fired power plants. 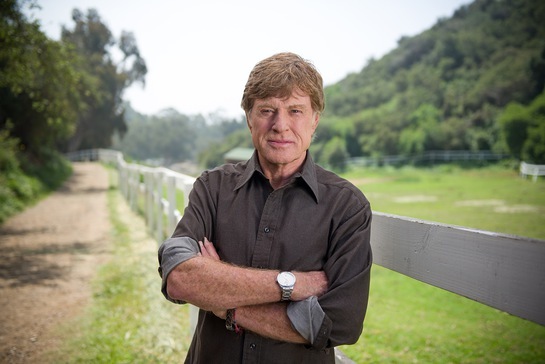 Redford, the iconic American actor, director and conservationist, made the remarks as part of a campaign the Natural Resources Defense Council launched this week with ads that will run on TV, online and in social media. Why now? In his first term, the president ordered a doubling of vehicle fuel efficiency standards, which will significantly reduce emissions contributing to climate change. In his second inaugural address, Obama promised to respond to the threat of climate change, and then in the State of the Union address he declared that if Congress doesn’t act soon, he will. In his new ad, “Courage of his Convictions,” Redford highlights the impacts already being felt from climate change and asks viewers to join him in urging the president to take action. NRDC worked with Redford to produce the ad, which will air through the week of June 10 on Washington, D.C. cable and broadcast stations. The ad also is being heavily promoted online through news outlets and social media sites. In his inaugural address this year, Obama addressed the need to fight climate change and its devastating impacts of wildfires, drought and more powerful storms. Then, in his State of the Union address he said, “for the sake of our children and our future, we must do more to combat climate change.” And he promised, “…if Congress won’t act soon to protect future generations, I will.” He said he will direct his Cabinet to come up with executive actions he can take, now and in the future, to reduce pollution. NRDC has outlined in a plan how the president can curb the impacts of climate change. Under the Clean Air Act, the president can set limits on carbon pollution emitted by the nation’s existing power plants that would cut carbon emissions 26 percent by 2020. The plan brings together states and power companies to determine the most cost-effective way to hit the targets. It will keep about a half-billion tons of carbon out of the atmosphere every year, save lives and save consumers money on their electric bills. The need for action is underlined by the mounting costs of extreme weather fueled by climate change. Last year was the hottest year on record in the continental United States. Wildfires burned up nine million acres of land, destroying hundreds of homes. The worst drought in a half century covered 60 percent of the nation. Climate change has set the table for the growing intensity and frequency of storms like Hurricane Sandy that killed 131 Americans and left billions of dollars of damage in its wake.